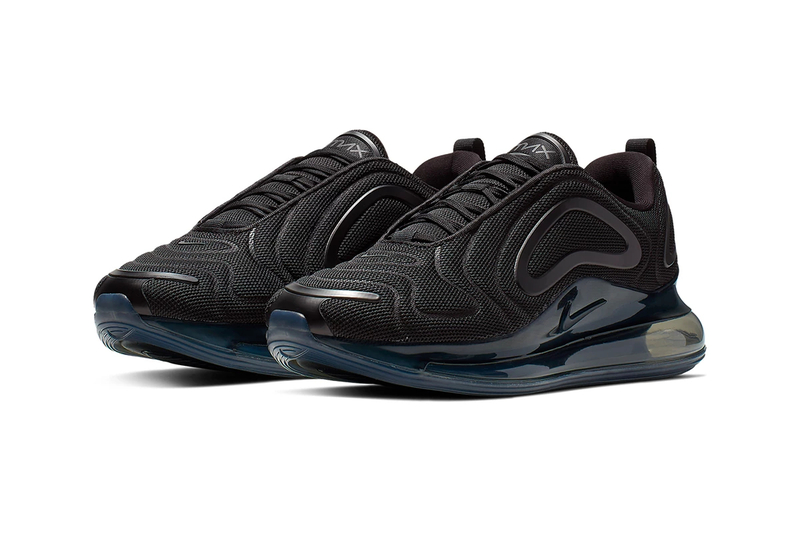 Nike recently shared some new colorways for their Air Max 720. Nike put together a new “Triple Black” & “Metallic-White’ offering for the model. The “Triple Black” one features a tight-knit black mesh base upper dressed with matching TPU overlays. The dynamic lines and pockets found on the upper accent the flexibility and structure of the model’s design. The silhouette also has a tinted 720 Air unit constructed of over 70% of recycled manufactured waste. The “Metallic-White’ ones boast several shades of white with textile uppers detailed with debossed, wavelike patterns starting from abstract-shaped panels on the lateral sides and heel. A logo-appliqued strap appears at the rear while the translucent 360-degree Air unit rounds off the futuristic look of the AM 720.